This course will discuss the intermediate ASC 740 topics such as stock compensation, states and uncertain tax benefits. It is a great course for practitioners new to ASC 740 or brushing up on their skills. TaxConnections has invited internationally recognized tax provision expert Nick Frank to share what he has learned talking to Fortune 500 to Fortune 5000 clients about the corporate tax provision. He will also share what the tax auditors are saying about the corporate tax departments and their readiness on the tax provision. If you are not ready, you will want to attend this session to learn how to take a more simplified course of action with your corporate tax provision. Against the background established in the last three Parts, we can now assess the merits of the United States’ practice of taxing on the basis of citizenship, with a particular focus on the United States’ policy of taxing its nonresident citizens on their respective worldwide incomes and assets. In this Part, I evaluate citizenship-based taxation in terms of the benefits associated with U.S. citizenship. Governmentally furnished benefits are a traditional consideration for tax policy and, as we have seen, 130 is the rationale of Cook. However, upon examination, the benefits rationale for citizenship-based taxation proves unpersuasive, both in theory and in practice. The most significant civil and social benefits extended by the U.S. polity are tied to U.S. residence, not to U.S. citizenship. The strongest benefits argument for citizenship-based taxation is one with which citizenship mavens are most uncomfortable, namely, the Tiebout/purchase characterization of citizenship as a public service purchased through tax payments. However, even that approach cannot be squared with the current system, which in practice charges different tax prices (often radically different tax prices) for the identical benefits of U.S. citizenship, depending upon the level and kinds of taxes assessed by the nation in which a U.S. citizen resides and earns his income. The Tax Cuts and Jobs Act brought several improvements for small businesses, most notably, favorable accounting methods such as use of the cash method and not having to deal with the Unicap rules. The AICPA Tax Section recently posted a position paper noting 13 more changes that would further help modernize the Code to reflect how small businesses operate. Some of these would more completely simplify what Congress started with the TCJA. For example, the TCJA increased the Section 179 expensing amount to $1 million, adjusted for inflation annually. But, despite the fact that intangibles are important to all sizes of businesses today (and for the past two decades), it only applies to tangible assets (and off-the-shelf software), not intangible assets, such as acquisition of a patent or domain name. Are You Unable To Resolve Your Tax Debt? Very few things in life are as stressful as owing the IRS money, especially if you do not have the funds to pay what you owe. “So what should I do?” You are probably wondering. Well, this should not be a complicated issue if you can get the services of a proficient tax defense attorney. Since what you do at this juncture will matter a lot, it is important that you do the right thing to avoid legal trouble. Here are a couple of things to keep in mind if you are unable to resolve your debt. The first and most tempting mistake that most people make when they realize they are unable to pay their taxes is not filing returns at all. While this seems like a good idea, it will lead to more penalties. The IRS automatically places a 5% penalty each month up to 25% if you do not file your taxes. Furthermore, you will also be expected to pay interest on the total bill until it is paid in full. The Internal Revenue Service issued guidance providing additional details about investment in qualified opportunity zones. Strengths: What are your business’ strengths, relative to your direct competition and the market. These are internal. What do you sell, and how do you do it better than anybody else? Weaknesses: What are your weaknesses versus the competition and overall market. Again, these are internal factors. Where do you need to make improvements, or at least have plans to fend off attacks against these weaknesses by competitors and a shifting market. Are you lacking resources to compete in certain areas? Opportunities: These are long-term goals and are external to your business. Think sales and distribution channels, market sectors, etc. Threats: The biggest threats to your survival come from the government, competitors, shifts in the industry, etc. Again, these are external. If you think of an internal threat, that’s most likely a weakness. And sometimes Trends: What is the arc of your industry? A great case study is IBM, who has seen its products pivot from typewriters to personal computers to software to services to artificial intelligence. Where is your industry headed in the next ten years? 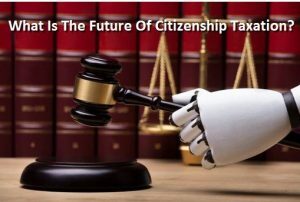 As a final preliminary to evaluating the United States’ citizenship-based taxation of individuals, we must explore the Code’s implementation of such taxation. Recall, in this context, that the Code currently prescribes three different income tax treatments for the foreign taxes paid by U.S. citizens and residents. Foreign income taxes levied against foreign-source income are fully creditable against U.S. income taxes to the extent such foreign taxes are equal to or less than the U.S. taxes assessed against such foreign-source income. 124 All foreign taxes paid in connection with trade, business, and investment activity are deductible for U.S. income tax purposes, as are foreign real property taxes. 125 Other foreign taxes, such as general sales taxes levied by foreign nations, are neither creditable nor deductible. 126 As a result of this disparate treatment of different foreign taxes, otherwise similarly situated U.S. citizens who reside abroad pay different U.S. taxes depending upon the types and amounts of the taxes levied by the countries in which they live and earn their incomes. Tax reform made a lot of changes, some of which impacted employees’ fringe benefits. This article reviews the most frequently encountered fringe benefits, including those that were and were not impacted by tax changes. These changes can affect both a business’s bottom line and its employees’ deductions. Qualified Transportation Fringe Benefits – Qualified transportation fringe benefits include parking, transit passes, commuter (van pool) transportation, and bicycle commuting. Qualified parking – The tax-free fringe benefit for qualified parking is still available to employees and is capped at $265 per month for 2019, up from $260 in 2018. Transit Passes – The tax-free fringe benefit for transit passes is also still available to employees, up to $265 per month for 2019, an increase from $260 in 2018. Bicycle Commuting – Unfortunately, tax reform did away with the $20-per-month tax-free reimbursement for the cost of an employee commuting to work on a bicycle. Commuting – Tax reform killed the monthly commuting fringe benefit (which was $260 in 2018) except when necessary for ensuring the safety of an employee. When allowed, the maximum amount is the same as the transit pass fringe benefit. In this Part, I identify three conceptions of U.S. citizenship that help to evaluate the propriety of citizenship-based taxation. Some commentators describe citizenship in terms different from those identified in these three models. 65 Whatever the value of these alternative conceptions of citizenship in other contexts, for the issue explored in this Article – the propriety of taxing on the basis of citizenship – these three models are the useful approaches to citizenship and the benefits defense of citizenship based taxation.